This entry was posted in Cheese and tagged car drive, Cheddar cheese, Cheese, Cheese curds, food, road trip, Swiss, Switzerland, Wisconsin by Cathy O. Bookmark the permalink. Yum! 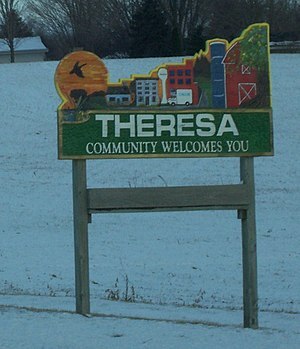 I’ve never been to Theresa or actually heard of it before…next time I’m down that way I’ll have to check it out!! Of course I love me some good aged Cheddar!!! There is a sign for it off of Hwy 41, and it is not too much of a detour…nothing is too much for getting cheese! Thanks for the comment!